The 2018 Ford Edge is all about technology, and this can be found in the way it drives, the features it offers and even in its beautiful appearance. 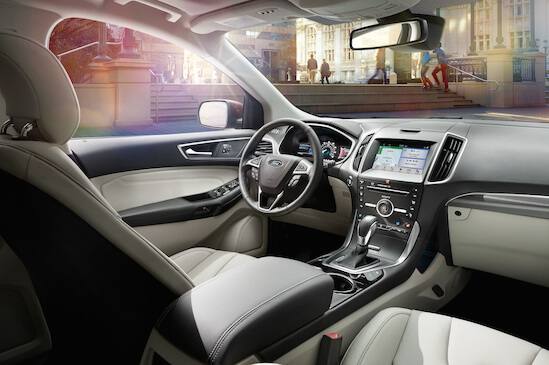 We have several of the Ford Edge models on display at Casey Jackson Ford, so stop in and take a look for yourself. Entertainment lovers will enjoy listening to more than 150 channels on SiriusXM® Radio and being alerted when their favorite artist or song is coming up. With SYNC® 3, they can sync their phones with the Edge while enjoying voice-activated navigation. From sending messages, making phone calls or navigating maps, they can do it all while driving. If you’re still not convinced that the new 2018 Ford Edge is everything and more, stop in at our Royston, GA Ford dealership and take it out for a test drive. Our staff is always on hand to answer any of your questions and assist you in any way possible.